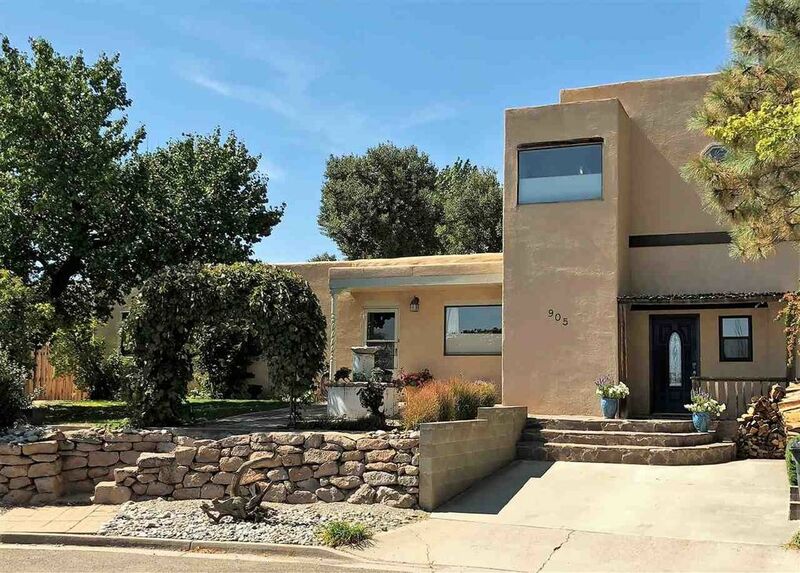 Beautiful, well-maintained North Mesa home. Be invited into a large, open floorplan. The living room has an attractive stacked stone fireplace and custom mantel. Fireplace has recently been cleaned and is ready for your cozy winter days. The kitchen boasts gorgeous granite countertops, stainless appliances and gas range. Notice the extra storage under the bar. The dining area is large enough for a grand table or even a second sitting area. A separate laundry room provides a laundry folding area, storage and pantry. At the opposite end of the kitchen is an office nook. Just close the doors and no one can see your projects. Down the hall find three bedrooms and two beautiful full baths. Between the living and dining room is a staircase that leads to a private master suite. You'll feel pampered in the beautiful spa-like bathroom with large walk-in shower and double sink vanity. The suite includes his 'n her closets and a newly installed ductless mini-split A/C unit. The unit provided both heat and air conditioning to the second floor. An additional wall unit can be added to the existing condenser. Back downstairs go outside to an inviting back porch and landscaped backyard. You'll enjoy many summer evenings in this shady yard. Yard includes a peach tree, dog run and storage shed. Additional home improvements include casement windows, pocket lights and a new roof in 2016. Schedule a showing today!